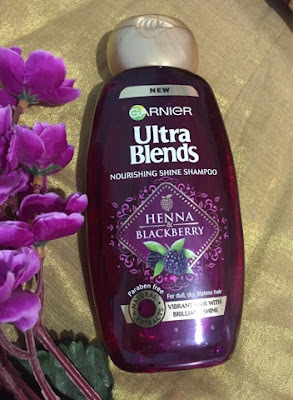 Garnier recently launched a new range of shampoos and conditioners -" The Garnier Ultra Blends Range " which claims to be a blend of natural oils and is Parabens free . I wanted to try the Five Precious Herbs blend but it was out of stock so I took the Henna and Blackberry Ultra blend shampoo because I like rich black shiny hair . 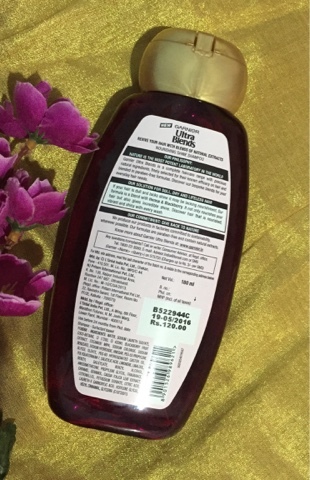 This blend contains Henna and Blackberry extracts, Henna has a deep conditioning and nourishing effect that brings life to dull and dry hair and blackberries with their high concentration of anti-oxidants and Vitamin C makes your hair shine with life. Flip-top,Royal purple and Gold packaging which gives it an ultra luxe look is very appealing . Does not contain Parabens ( these are preservatives used in cosmetics to prevent bacterial and fungal growth in the product and in some cases have proven to causes skin reactions from irritation and allergies to estrogenic effects and cell damage ). What I liked most,was the texture - it has a runny consistency because of which it was very easy to work up lather and spread it evenly and also you do not need to shake the bottle again and again for left over product . My hair felt very clean and bouncy and for some reason also it was easy to comb through it even in semi wet state.It helped in detangling and smoothing the hair too ! The fragrance was fruity but I can't say if it was berrylicious .I did not like the fragrance much (though it is not disagreeable) and so it is a good thing that it did not linger . Lathers well neither too less nor too much . My scalp gets itchy with some shampoos ,but this one did not give me any irritation . 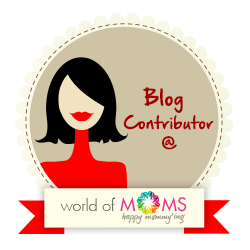 The runny texture could cause more product to come out while use and cause wastage . The fragrance could have been better. The effect on my hair lasts for a day and by the second day,the hair is again its original self. Not much effect on dandruff though I found the build up was less with regular use . FINAL VERDICT - I am loving this shampoo and would definitely like to try out more from this range .It cleans well , leaves my hair shiny, soft and smooth ... what else can one ask for ! I rate it a 4/5 .